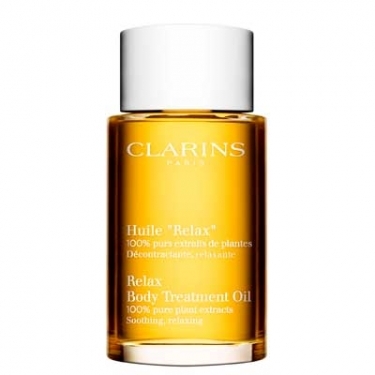 Relax Body Treatment Oil is a relaxing soothing treatment infused with camomile extracts, petite grain, and basil to produce a feeling of well-being and relaxatio whilst rebalance skin's texture and smoothness. Contains hazelnut oil to lock in moisture and nourish skin. Apply a pea-sized amount to dry cleansed skin concentrating on spots where tension accumulates, such as the neck and shoulders.